Former Gor Mahia midfielder Moses Odhiambo “Dube” thinks his former club has the best chance to retain the title they won last season. This according to “Dube” is because Gor Mahia have an easier schedule left compared to the other contenders. Dube however maintained that the last few matches are going to be tough for all three teams. “The remaining fixture are tough for the top three teams, anything can happen and any of the top three can win the league, he continued. Gor Mahia will need to keep their concentration in all their remaining matches. But the key encounter is clearly the match against Sofapaka. The match which started on a relatively balanced mode saw Gor Mahia open the scoring before Intercity equalized a couple of minutes into half time. K’Ogalo’s Herbert kopany was picked out in the 20th minute and the striker never hesitated to convert the pass into a classic goal past Intercity keeper for a temporary lead which only lasted for about 15 minutes. The Okoth side settled back into the game and when the 36th minute of the clock ticked, Benson Iregi got hold of the ball and passed it to unmarked Thanksgod Alosike who in a style unleashed a fierce shot to make it a draw for Intercity. All efforts by both teams to look for winner goals never bore any fruit until the full time whistle was blown. Intercity Head Coach Frank Okoth expressed his satisfaction of the match’s outcome stating that it was a good exercise for his boys. -We cannot really bank on the match’s result because this was simply meant to gauge our standards. However I am happy because my boys created good chances and never allowed a win from our opponents, the tactician told futaa.com. Gor Mahia football club has sent out invites to children aged 8-13 to participate in an event at City Stadium on Saturday September 27. The event dubbed Lets play has been announced on the club’s site and on social media pages. It is being organized by Gor Mahia in partnership with Kenya Premier League (KPL) and the official league broadcaster Supersport. The event takes place from 8:00 am to 10:00 am. 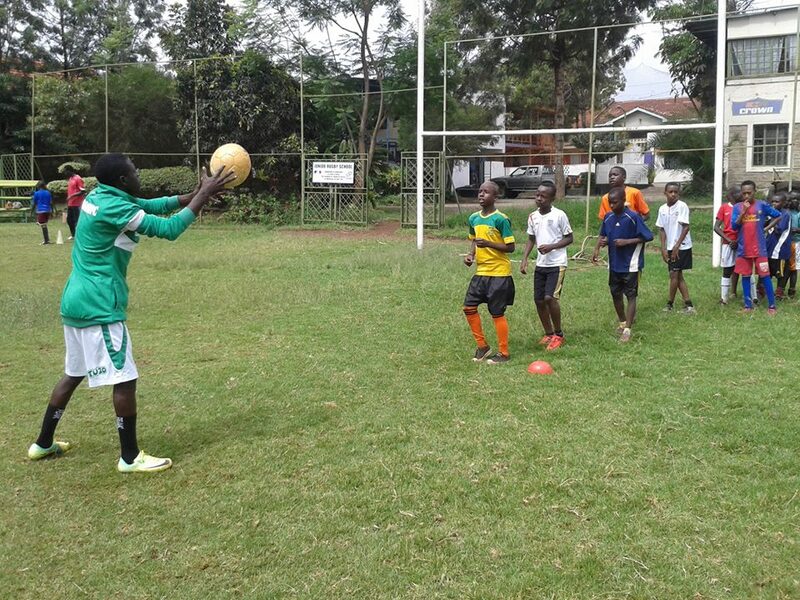 According to the club, the primary objective of the programe’s is to engage Kenyans regarding the negative effects of lack of sports participation on health, social, moral and economic well- being, especially that of children, started earlier in the year and has so far seen 14 out of the 16 premier league teams participate. Let’s Play is about enabling children to live healthier lives – and through a shared vision and a network of partners and facilitators, it aims to encourage and support children to be physically active in safe and supportive environments. ‘Let’s play’ is strictly open to kids between 8-13 years old, both boys and girls, and those registered to participate will be required to dress in sports attire on the day. The day’s key event will see the kids undergo various soccer skills training conducted by Gor Mahia FC players and co-ordinates by club Head Coach Frank Nuttall and the technical team. Only 500 slots are available for grabs and all interested parents and guardians are required to register with the club latest Thursday 25th September 2014. Each participating kid will be provided with a ‘Let’s Play’ t-shirt. Lunch and drinking water will also be provided for all participating kids. This is a noble initiative. Its a good way to reach out to the community and build relationships. It also sensitizes parents about the importance of being active among both children and adults. Reaching out to children is a good idea since these are the future fans and this is an excellent way to build a future fan base. This should be done more often and at various venues. For parents who are wary of sending their children to City stadium, the club should consider a different venue. What is interesting however is that once again it appears the event was announced late and given very little publicity. Nevertheless, when the club comes up with an initiative like this, it is worth cheering. And this particular blog is happy to help publicize any club related events. Gor Mahia collected six points out of 12 in their last four games. It was always going to be difficult to play four difficult games in a space of 10 days. This is especially true at Gor Mahia; Given the mass player exodus, the bench has been left depleted leaving the technical bench with few options to rest key players or replace tiring players. Fatigue likely played a role in the disappointing draw with Bandari. “We battled hard and tried to break them down and we managed to do it a couple of times, but we didn’t quite get that final ball right. We’re happy with the way we battled and performed but disappointed with the final ball and not getting that goal. This was our game in hand and it was important not to lose it. We wanted to win it but credit to them, they were quite well organized. You have these sort of games and that’s when it’s important to stay solid and compact and not give them anything as well” he said. Nevertheless Gor Mahia’s defence appears solid having conceded only one goal in the last six games. Much of the credit for that goes to Jerim Onyango for his heroics against Tusker, Chemelil and Ulinzi, while David Owino “Calabar”, Musa Mohamed and Kevin Oluoch have been solid throughout. Coach Frank Nuttall for his part expressed disapointment with the draw against Bandari. Gor Mahia lost a number of playmakers at mid-season and have yet to replace them. The midfield as it is currently constituted has excellent ball winners but is lacking a player who can make that killer pass. Hence the decision to move Walusimbi further up. Once promising players like Herbert Kopany and Angelo Okumu have yet to measure up to their potential. And the matter of referees favouring Gor Mahia can be firmly put to rest following the Bandari match where a referee allowed what was a genuine goal by Geoffrey Walusimbi. Captain Jerim Onyango decried the poor officiating that led to the disallowed goal. “I do not see how that would have been disallowed yet a Bandari defender had a flick on it. Our match officials have let us down once again and it is a pity. It was a genuine goal” he said to futaa.com. Gor Mahia have now played the same number of matches as Sofapaka. They are only two points above Sofapaka which means they have no cushion. 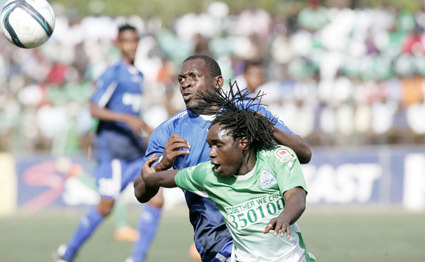 A draw or a loss against City Stars next Saturday will see Gor Mahia relinquish their lead. And since City Stars will come ready to park the bus so hopefully the technical bench will come up with a strategy, a breakdown tailor to remove the bus. Gor Mahia lost an opportunity of going four points clear at the top of Kenyan Premier League log after being held to a barren draw by visiting Bandari in a mid-week match played at City Stadium on Wednesday. The draw means Sofapaka remain on toes as the champions and league leaders now enjoy a two point cushion. Sofapaka remain second on 46 while Gor Mahia moves to 48 points. Gor Mahia coach Frank Nuttall blamed Bandari for opting to play a more defensive game than attacking. “We created our chances but in most occasions our opponents were defending in numbers. On the title challenge, Nuttall, who has won once since replacing Bobby Williamson said, “We are on top of the log and that shows you how difficult it has become to navigate the league. Bandari coach Twahir Muhiddin refuted Nuttall’s claims and insisted that they were the better side in the fixture and derserved to bag maximum points. “We deserved to win because our tactics worked against Gor Mahia. The major argument in the match came in 28th minute when Gor Mahia found the back of the net through Ugandan Goddfrey Walusimbi but the goal was flagged offside. However, television replays showed that Walusimbi was onside when he latched onto the ball to score and this leaves officiating in Kenyan Premier League on spot again. Gor Mahia started the match on a high note with coach Nuttall deciding to retain same squad that had won in last league assignment and Ugandan Dan Sserunkuma and George ‘Blackberry’ Odhiambo continued with their impressive partnership. Ssserunkuma had two opening chances but squandered and Walusimbi followed him up with another fluffed chance from a free-kick. It took four games but New Gor Mahia coach Frank Nuttall has finally recorded his first win since his arrival at the club. 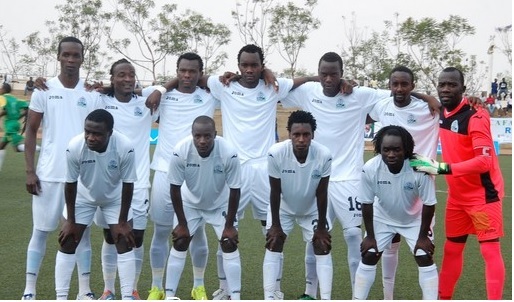 Gor Mahia scored a deserved 2-0 win over Kisumu county based Chemelil Sugar FC. It was an all round excellent performance. Most striking was George Odhiambo “Blackberry’s” return to form. This column once noted that Blackberry just needed a coach to get inside his psyche to enable him to regain his confidence. Coach Nuttall may have found that key. And given the way he picked out Sserunkuma’s run for the second goal, then perhaps the duo are finally starting to get in sync. Aside from Blackberry, it was an all round good performance. Owino “Calabar” gave his usual solid performance at the back. Skipper Jerim “Jagoal” has been solid in the past three games. Saturday was no different. And Walusimbi continued to thrive in his new playmaking position. Note that Walusimbi leads the club in assists this season. Kizito was solid as well. “The players were fantastic today and it’s a good feeling to winning this match,” Nuttall said after the match. Nutall noted that the team would continue to stay focused on their overall goal. “We created a lot of chances in the first-half and scored the goal but we improved in the last half. We will approach each match as it comes and do our best to see we achieve our target of retaining the title,” Nuttall said in a post match interview. 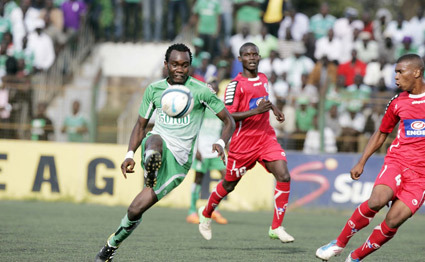 Gor Mahia dropped 2 crucial points against Ulinzi. But on a positive note for Gor Mahia, the match raised Ksh 648,150 in gate collections. This according to goal.com This amount is 20% higher than typical midweek collections which are usually less than Ksh 500,000. Not a bad result for a match that kicked off on a Wednesday at 4pm. This year Gor Mahia has played an inordinate amount of midweek home games. Out of that amount, the club took 372,650 while the rest went to statutory deductions. Ticket charges were Kshs 600 for the main stand (VIP) and Kshs 300 for the terraces. Gor Mahia will next take on Chemelil on Saturday at 3pm. Gor Mahia fans will be hoping to put Chemelil coach Mike Mururi in his place. He is the one who claimed that referees have been helping Gor Mahia in the league. Interestingly, Tusker official Leonard Odipo also claimed that referees were helping Gor Mahia. This has now become a theme by officials of other teams who are clearly trying to play mind games with referees. Nevertheless, the match against Chemelil will not be easy. They are having what is probably the best season they have had in almost a decade. 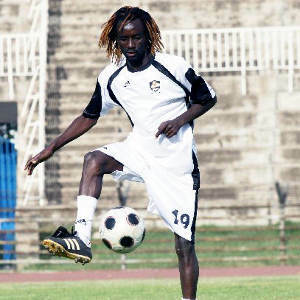 In fact former Gor Mahia striker Goro Oronge thinks Chemelil will win the league. Oronge said the fact that Gor Mahia had two matches in hand was of little consequence, given the quality of all the teams contesting this year’s league. Oronge thinks Gor are still capable of slipping up and expects Chemelil to exploit that as the season draws closer towards its business end. Oronge states that because there is a dearth of scoring in this year’s league, every team has a chance. “During my days in Gor under the then head coach Len Julians, virtually every player could score. It was not a case of individual players trying to shine and earn credit but winning those days had everything to do with teamwork and a good goal-scoring system in place,” said Oronge, who felt this was an aspect that all clubs were struggling with this term. It is this lack of scoring that Gor Mahia will need to fix. The club is going through a dry spell in gaolscoring. In fact the last time they scored during the run of play was against AFC on July 27. Gor Mahia have scored only two goals in the last four games. One from a free-kick and one from a penalty. Hopefully the club will soon come to term’s with coach Nuttall’s tactics. The new coach will also need to bring some poise and composure to striker Timothy Otieno and possibly help Blackberry regain his form of old. The good news is that Gor Mahia has a much better against Chemelil than they do against either Ulinzi or Tusker, especially at home.